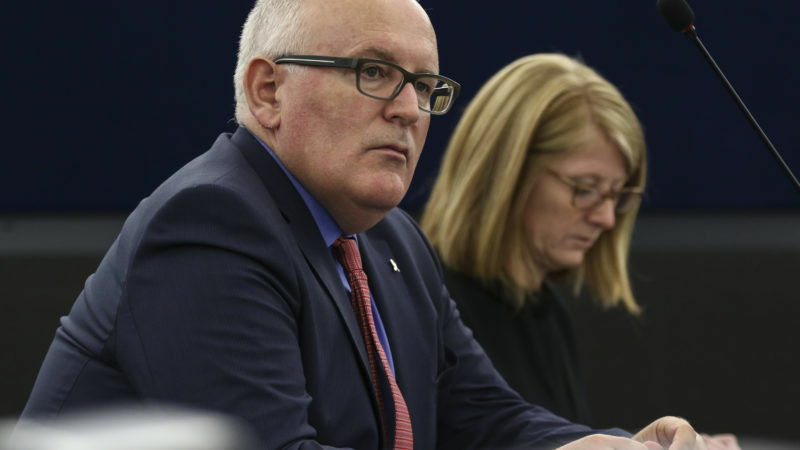 European Commission Vice President Frans Timmermans will visit Warsaw on April 9, the Polish government said on Thursday, amid conflict over Poland’s controversial court reforms. “His visit is a continuation of the ongoing impartial and fact-based dialogue between Poland’s government and the European Commission,” government spokeswoman Joanna Kopcinska told AFP. She added that Timmermans had been invited to the Polish capital by Foreign Minister Jacek Czaputowicz. According to the Polish news agency PAP, the talks will mainly revolve around the court reforms that led the European Union to launch unprecedented legal action against Warsaw. The EU executive triggered Article 7 of the EU treaty in December over what it sees as “systemic threats” to the independence of the Polish judiciary from the country’s right-wing government — a move that could lead to never-before-used sanctions. Poland had three months to reply to the EU’s concerns. Last week the foreign ministry said it had met the deadline, without specifying the contents of its response. A lawmaker from the governing Law and Justice (PiS) party, Marek Ast, however announced that a draft law would be introduced to slightly modify the reforms. The opposition has denounced the government’s proposed changes as being merely cosmetic. Timmermans said last week that the Commission will analyse Warsaw’s response before ministers meet again next month to assess whether “steps forward were made or not”. The stakes are high if Warsaw fails to satisfy the EU, with possible sanctions including the removal of Poland’s voting rights in the bloc under the Article 7 procedure — covering systemic threats to the rule of law — which has never been previously used against an EU country. However, Poland’s ally Hungary, which has also clashed with Brussels over democratic and constitutional questions, has vowed to veto any sanctions on Poland.